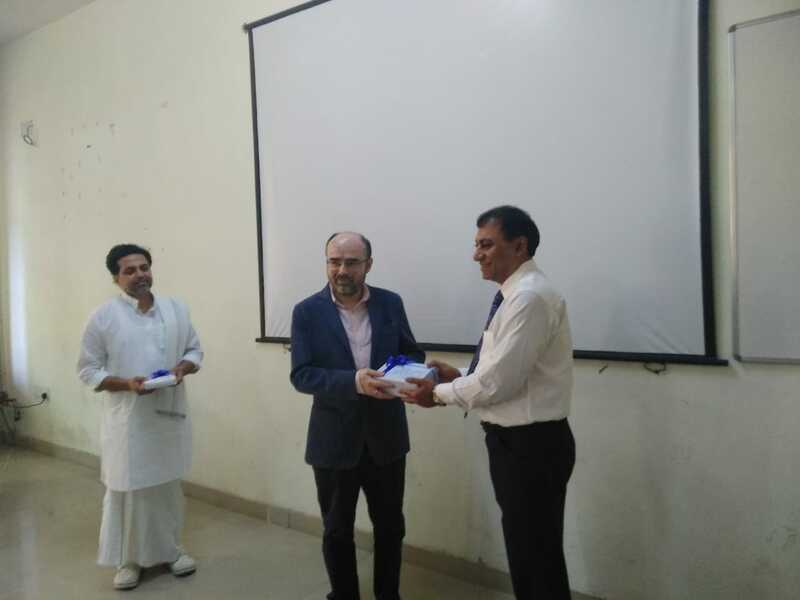 A session was organized for BHM (2nd& 4th semester) students where two eminent guests from diverse platforms – Indian Specialty Chef Sameer Miglani & Spiritual Facilitator Mahatma Haridas Ji were invited for a motivational & experiential talk. Chef Sameer Miglani (Consultant: HRM Solutions), guided and oriented students to how to prepare themselves for the hospitality industry of tomorrow & shared his valuable experience which gave students an insight of the global hospitality sector. Mahatma Haridas Ji enlightened students with the role and importance of spirituality in our lives and guided them that how their dedicated and passionate work style can bring a positive change in the global society. Students were captivated by their talk & could make a fair understanding that how professional sphere and spiritual life plays a significant role in our lives and most importantly they go hand in hand.